For many, this may be the first time you need to or have considered hiring a Property Manager. We understand this. The information below is provided to help you understand how we do business and how Stars & Stripes Homes serves you. 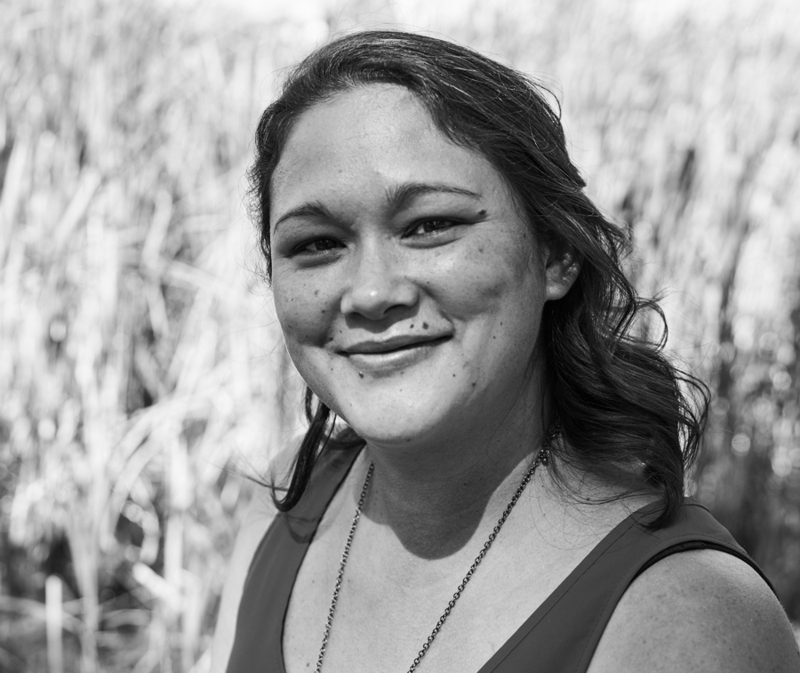 Thuy Beinert, Broker, Licensed Realtor, Property Manager, Cell/Text: 720.435.1777, Thuy@StarsAndStripesHomes.com Request Rental Analysis, I manage a portfolio of 75+ rental homes and assist both home buyers and sellers! Please contact me and let me know how I can best serve you! 1. When Do I Receive My Monthly Proceeds And Statement? As an owner, expect to receive your proceeds electronically in your bank account of choice between the 7th and the 9th of every month. Variables will be (1) when your tenant pays the rent, and (2) how long your bank takes to process and post the deposit to your account. Want to sleep better at nite? Recommend having at least one month's mortgage payment in reserve. We understand and are sensitive to the fact that it is important that you receive your proceeds as soon as possible. You will receive a monthly statement. Expect to receive your monthly statement by the 15th of each month. When your monthly statement is ready, you will be notified by email. Click Here to view a Sample of the Monthly Cash Flow Statement and click Here to view a Sample of the Year To Date Cash Flow Statement. For additional information on accessing the Owner portal, click here. 2. How Does Stars & Stripes Homes, Inc. Market My Home? 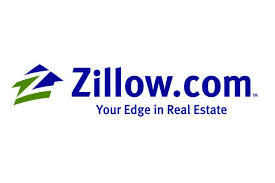 www.Zillow.com,www.Trulia.com, www.HotPads.com, and our main website www.StarsAndStripesHomes.com. Note: AHRN, the Automated Housing Referral Network site, www.AHRN.com - is a unique Department Of Defense rental website designed for service/military members moving around the country in search of a rental home at their new duty assignment. Stars & Stripes Homes uses the most up-to-date, advanced, Mobile Responsive Technology for its website - www.StarsAndStripesHomes.com. This technology is an approach to web design that provides an optimal customer viewing and interaction experience - easy reading and navigation with a minimum of resizing, panning, and scrolling—across a wide range of devices (from desktop/laptop computer monitors to smart phones, Ipads, and other mobile phones). Websites designed using Mobile Responsive Technology adapt the layout to the viewing environment by using fluid, proportion-based grids and flexible images. Bottomline - a better customer experience accessing information on available rentals and processing tenant applications! (B) Signage. We can place a Stars & Stripes Homes, Inc. sign in your yard or window as appropriate. Some homeowners do not want a sign in their front yard or window. If you do not want a sign, we will honor that request and not use a sign. Although we have numerous walk-in's, we are still waiting for the President to drop in when he/she drives by our office after arriving on Air Force One at Buckley Air Force Base! We keep Old Glory flying outside our front door, but no Presidents, Vice-Presidents or First Ladies have stopped in to see us yet! We will let you know when they do! Monthly Management Fee - Our monthly management fee typically ranges from 8 to 10 per cent of the monthly rent we collect on your behalf.Please contact us for a custom quote on your home. Tenant Procurement Fee - Tenant Procurement Fee includes advertising your home using our Network Of Sites technology and procuring the tenant (show your home, conduct a tenant background check, complete the lease, document the condition of the home and move the tenant in. 4. How Long Does It Take To Find A Tenant For My Home? We typically lease your home in 3 to 21 days. Some have rented in as little as 24 hours. Our vacancy rate is typically between 1% and 3%. In other words, we manage approximately 600 homes and generally have between 6 and 12 vacancies at any given time. That's not a lot. To streamline the tenant procurement process and lease your home as quickly as possible with quality tenants, our tenants submit their rental application online, pay the application fee online and in many cases sign the lease electronically. How quickly your home rents may be dependent upon price, condition, neighborhood, school district and competing homes for lease. 5. Is Stars & Stripes Homes, Inc. Accredited By The Denver Better Business Bureau (BBB)? Good question! Consumers have varying views of the Better Business Bureau (BBB). For many, the BBB is a vehicle to vet (according to Webster's Dictionary, vet is "to appraise, verify or check for accuracy, authenticity, validity, etc.") those companies that meet the business standards and practices of the BBB versus those that do not. Yes, Stars & Stripes Homes, Inc. Is a BBB Accredited business and holds an A+ rating. Click to see our rating HERE. 6. How Many Homes Does Stars & Stripes Homes, Inc. Manage? Stars & Stripes Homes, Inc.serves 600+ homeowners and one foreign government embassy (England). Most of the homes we manage are located in the Denver-Aurora Metro Area and have a market value in the $150,000.00 to $500,000.00 price range! Stars & Stripes Homes, Inc. is a medium size company that is neither too large nor too small - but the right size to provide the quality services customers need and receive. All of our Property Managers are licensed, insured and are full time. All Stars & Stripes Homes, Inc. Property Managers are members of the National Association Of Residential Property Managers (NARPM) and the National Association of Realtors (NAR). They all adhere to the NARPM Code Of Ethics and NAR Code Of Ethics. Our Property Managers typically manage between 50 and 125 homes, Stars & Stripes Homes, Inc. is a home-grown Colorado company! Not a franchise! Our Full Time Property Managers are supported by an in-house Accountant/Book Keeper and full time Administrative Support Staff. 7. Who Screens The Tenant? We do. Prospective tenants complete our application. We conduct background checks on general information (previous landlord, employer, other personal references), verify income, history of bounced checks, and check for derogatory information such as police records, arrests, bankruptcies or foreclosures. Experience over the years has taught us that properly screening tenants is the most important step in successfully managing your home. Our process is assisted by Experian - one of the three major credit bureaus in the United States. The Experian report we receive - that we share with you the owner - includes the applicant's FICO score (Fair, Issac, and COmpany) and available police reports. 8. Who Shows My Home? Your licensed and insured Property Manager responds to calls and emails from prospective tenants and sets appointments to show your home! It is much safer to have us do this rather than you personally showing your home. We DO NOT give showing codes to prospective tenants and allow them to enter your home without being accompanied by a licensed Realtor. 9. What Does My Property Manager Do? Collect rent and distribute proceeds to you. Accept phone calls, emails and faxes from tenants. Ensure repairs are done properly. Send notices for late or nonpayment of rent, violations of the rules, etc. Obtain your approval for major expenses. Conduct a home walk-through or inspection. Provide timely and accurate accounting of all money received and disbursed monthly, as well as keeping a client trust account in a non-interest bearing account for your money. Colorado state law and the Colorado Real Estate Commission and Department Of Regulatory Agencies (DORA) regulates Property Managers. At the request of owners, provide Comparative Market Analyses (CMA) on the manged home to determine re-sale and rental market value. 10. Is Stars & Stripes Homes, Inc. Registered With The State Of Colorado? 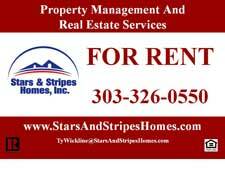 Yes, Stars & Stripes Homes, Inc. is a licensed and registered company in the State Of Colorado. We are not a franchise registered in another state. The Office of the Secretary Of State (SOS) of Colorado certifies that Stars & Stripes Homes, Inc. is a corporation that was formed in 2002 under Colorado law and complies with all applicable requirements of the office of the Colorado Secretary of State. For more information about the Stars & Stripes Homes, Inc certificate, click SOS Certificate Of Good Standing, or visit the Colorado Secretary Of State website and look up businesses then type in "Stars & Stripes Homes". (1) Homes require regular & preventative maintenance. Different occupants stress homes in different ways. Unforeseen maintenance may be required. (2) Sprinkler systems, plumbing systems, appliances and heating/cooling systems require maintenance. In order to keep your investment home in good condition and to maintain the home in safe condition for your tenants, it is imperative to keep these items in good working condition. (3) Over time, exterior items such as fences, the exterior frame, and siding of the home should be painted. Also, landscaping above and beyond simple mowing and weeding needs to be attended to. Do not expect the Tenant to perform painting and landscaping other than mowing and weeding. (4) Property Managers monitor the overall condition of the interior and exterior of your home and coordinate repairs as necessary as per the Property Management Agreement. Making a repair immediately for $50.00 is typically more effective and cost efficient than doing the same repair later for $500.00. (5) Property Managers do not control the rental market and do not guarantee how much the home will rent for. Property Managers also do not guarantee how long it will take to rent your home. If you demand top dollar for rent, it could require a longer time period to find a Tenant. (6) Property Managers often do not accept the opportunity to manage every home that is made available to them to manage. If the homeowner does not want to properly maintain the home, then the Property Manager may elect not to assume responsibility for managing the home. (7) In the state of Colorado, water is a lienable item. Ultimately, it is the homeowner's responsibility to pay the water and sewer bill unless other legal arrangements have been made via a Home Owners Association. The Property Manager will monitor Tenant water use and water bill payments to ensure proper payment of water and sewer bills. Utility companies do not always bill in a timely manner; occasionally you will receive a water bill from a reading that is several months old. (8) In the state of Colorado, Home Owner Associations (HOA) may place liens on properties if HOA fees are not paid. Ultimately, it is the homeowner's responsibility to pay the HOA fees. The homeowner may choose to pay the HOA fees themselves or request that the Property Manager provide this service. (9) Property Managers do not pay mortgages. They collect rent and forward rent proceeds to owners. It is homeowner´s responsibility to pay their own mortgages. (10) Property Managers maintain a non-interest bearing escrow account for all tenant security deposits. All funds are placed in an FDIC insured bank. Property Managers, not owners, are responsible for the maintenance of tenant security deposits. (11) Property Managers do not control the individual lives of Tenants. Tenants do things that neither of us understand nor can explain. Be aware that Tenants can leave the home in better or worse condition than when they moved in. (12) Tenants will sometimes move out of a home without any notice. Welcome to owning an investment home! (13) Property Managers will turn down a perfectly good Tenant if they cannot bring certified funds for the Security Deposit and certified funds for the First Month's Rent as per the Rental Agreement. (14) Tenants may not fully comply with the lease. Occasionally, legal action is required to force a Tenant to comply with the lease. (15) Late fees are put in the lease to motivate Tenants to pay the rent on time. If Tenants do not have the money to pay the rent on time they more than likely will not have the money to pay late fees. It can be difficult to collect late fees. (16) Be aware that Tenants will make promises that they cannot keep. They may promise to rent the home and not show up to sign the lease. They may show up to sign the lease without the security deposit. We will not allow the Tenant to sign the lease without the Security Deposit. (17) In the event that an appliance needs to be replaced the Tenant will expect the appliance to be replaced with a like-kind appliance. (18) Please understand that home repairs priced below $500 can be considered minor repairs. We may make these repairs in accordance with the property management agreement. 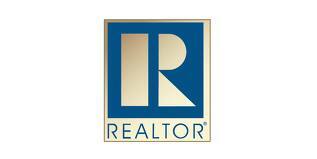 (19) Our Property Managers are licensed and insured realtors/brokers who service clients buying and selling real estate. As realtors we can offer you a Comparative Market Analysis (CMA), neighborhood market updates or specific sale/sold information on a particular home. These are complimentary services available upon request.